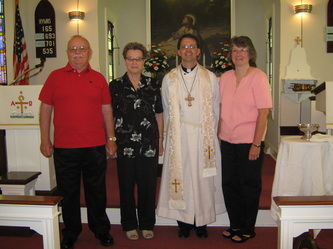 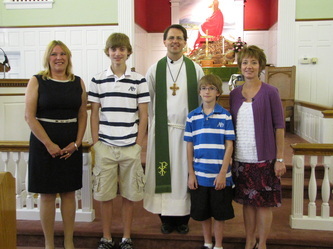 Pastor Roy Stetler was ordained on August 8, 2008 and began serving at Faith United Lutheran Parish on August 10, 2008. 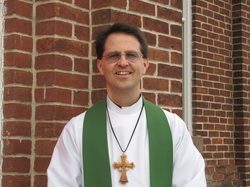 Roy Stetler received his undergraduate degree from Messiah Collage, Grantham, PA and his Masters of Divinity degree from Asbury Theological Seminary, and took six Lutheran classes at Lutheran Theological Seminary at Gettysburg. Roy was a member of St. Paul’s Lutheran Church, Dillsburg, PA. 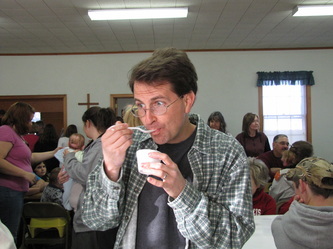 He is married to Gail Stetler and is the father of three children and two step-children. 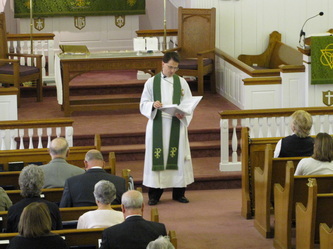 His ordination sponsor was the Rev. 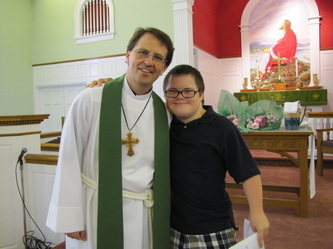 Patrick Rooney, pastor, Christ Lutheran Church, York, PA.
We surprised Pastor Roy August 19, 2018 after Barren’s worship with a cake, drinks, and cards in celebration of his 10th Anniversary Ordination ministry milestone with our parish.